The Research cell of Desh Bhagat University and pg school of ayurveda celebrated International Biodiversity Day 2017 by organizing a seminar on ‘The Biological Diversity Act and Tourism" in collaboration with Punjab Biodiversity Board. The programme was sponsored by National Biodiversity Authority, Govt. of India. Students from different faculties participated in it with full enthusiasm. The event was inaugurated by university Pro Chancellor and CEO, Hara Punjab Khara Samaj Dr. Tajinder Kaur. She encouraged the students not only to grow maximum number of trees and plants, but also take care of them. 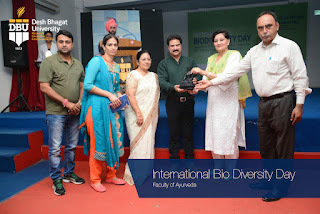 At this occasion, Dr. Rakesh Shah IFS, Chairman, Uttarakhand Biodiversity Board was the Chief Guest and key note speaker, who shared his views on the guidelines of Access & benefit sharing Bio diversity Act and Tourism. 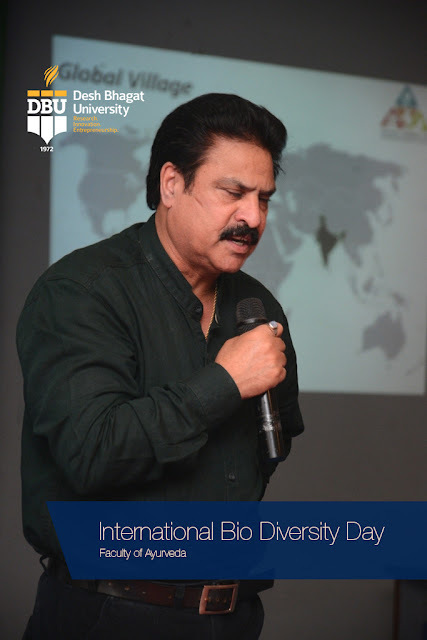 He also discussed about the Importance of Biodiversity and said that Biodiversity is the term used to describe the variety of life found on Earth and includes ecosystems, genetic and species diversity, and the connections between these. 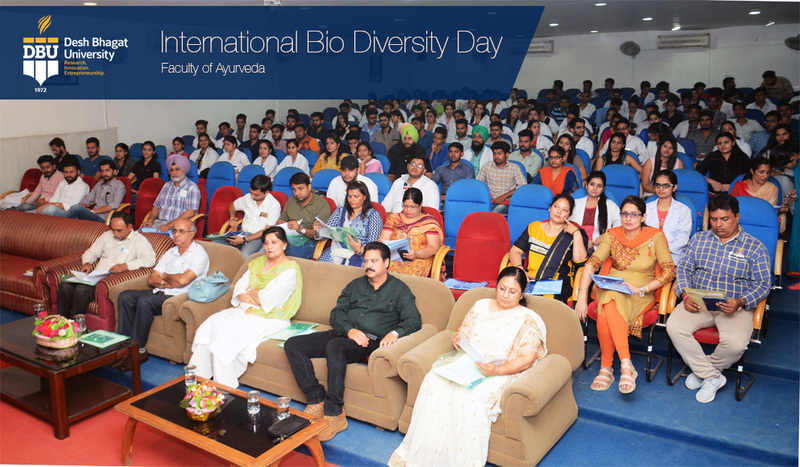 Dr. Neelima Jerath, Pro Vice-Chancellor spoke on the topic Introduction to Biodiversity and the Biological Diversity Act. 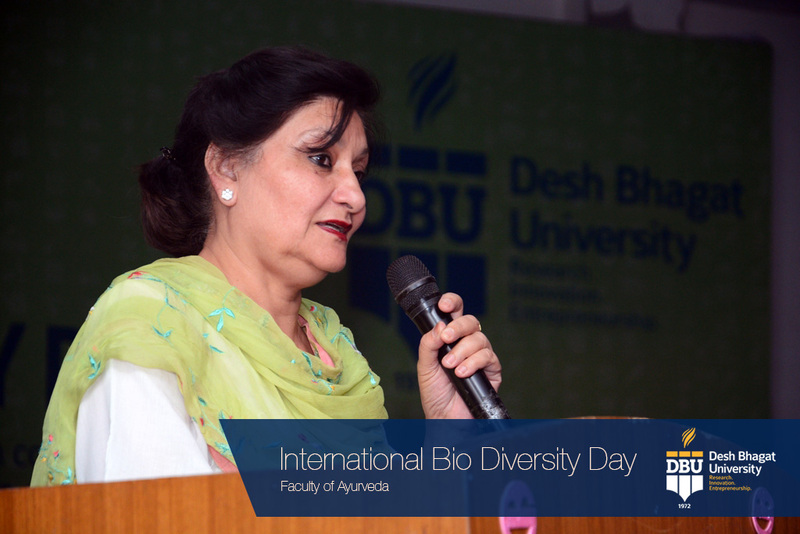 During her talk she described how biodiversity affects all aspects of human life. She informed about the provisions under CBD (Convention of Biological Diversity) and the Biological Diversity Act, 2012, and highlighted the efforts made by the government in implementing the Act. The major highlight of the act is that its implementation is decentralized through Biodiversity Management Committees set it at local level. During the event, Mr. Jyooti Saroop from Unnati cooperative Society, Talwara participated through Skype and presented his views on the topic ‘Bio Resources based Entrepreneurship’.The students evinced a keen interest in this programme and they asked relevant questions on Biological Diversity, Climate Change, GM Crops, Crops Diversifications and some other important topics, which the learned speakers answered very aptly.Vice Chancellor Dr. Virinder Singh appreciated the endeavour of all staff members and students for organizing the event and furthering the vision of Desh Bhagat University in building a greener and cleaner environment. The programme ended with presentation of vote of thanks by Director Dr. Kulbhushan. Staff members of different faculties were present at the occasion. Desh Bhagat University offers leading ayurveda courses in India like Bachelor of Ayurvedic Medicine and Surgery, M.D. Ayurveda Kayachikitsa, M.D. Ayurveda Rasa Shastra, Post Graduate Diploma in Panchkarma and B.Sc. Naturopathy and Yogic Sciences.